Virat Kohli and Anushka Sharma tied the knot in India’s most hotly-anticipated wedding yesterday. The nation seemed to rejoice as one — Cricket and Bollywood, its two chief passions, had come together, and everyone in India seemed to want to toast the young couple. But the wedding was extra special for a clothing company based out of Kolkata. Wedding apparel maker Manyavar had managed to pull off what can only be described as a marketing coup by having on board two of the country’s hottest young stars as brand ambassadors while they were being wedded in real life. Manyavar had had Virat Kohli as a brand ambassador since 2015; it brought Anushka Sharma along for a viral campaign just two months ago. 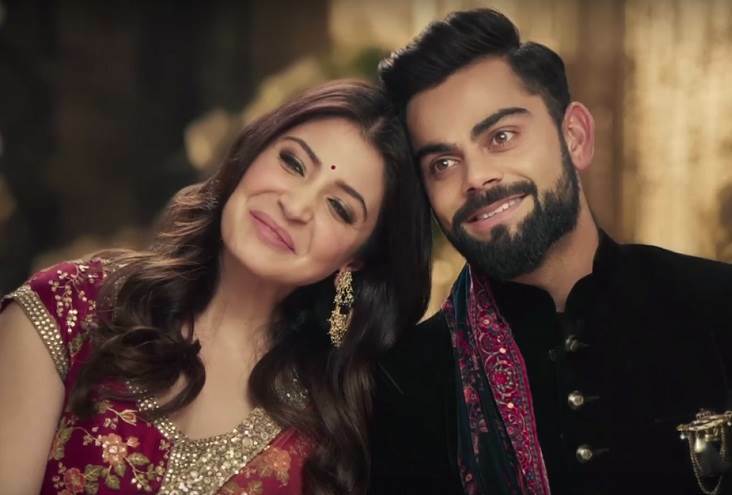 With Virat and Anushka getting married in a breathlessly-watched ceremony, Manyavar has managed to position its wedding apparel business in a way no conventional marketing campaign possibly could. For a company that started off with Rs. 10,000 in seed capital all the way back in 1999, Manyavar has come a long way. Manyavar founder Ravi Modi, then 22, used to work at his family’s garments store in Kolkata’s AC Market on Shakespeare Sarani. 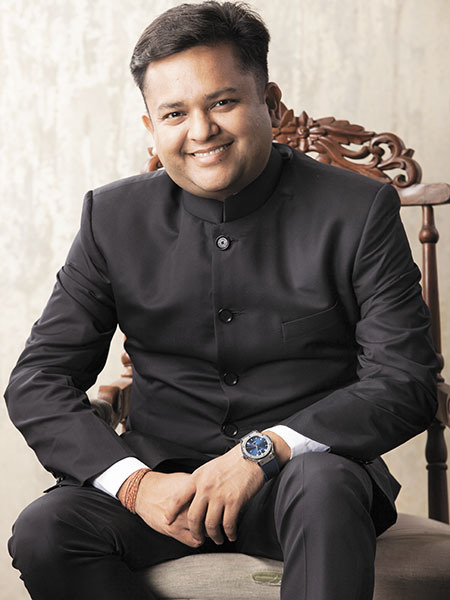 He’d graduated with a degree in Commerce from St. Xavier’s College, and realized that there were no players in the ethnic men’s fashion space in the country. “I saw it…like an opportunity of a lifetime; not only to build a business but also to change men’s fashion in the country,” he told Forbes. Manyavar started off selling its traditional wedding wear through larger retailers like Pantaloons, but Modi’s sights were set higher. In 2002, he incorporated Vedanta Fashions Private Limited, and the company set up its first store in Bhubaneshwar in 2008. Today, Manyavar has become a ethnic wear behemoth — it operates 450 stores across 173 cities. It’s even gone international — Manayavar has stores in the US, Bangladesh, Nepal and UAE. All this growth has come without any venture capital or significant borrowings. Manyavar is completely bootstrapped, and is light on debt. The company just has debt of Rs. 22 crore on its books. In 2016, it had a turnover of over Rs. 500 crore, and unlike most startups, it’s even profitable — Manyavar managed to earn profits of Rs. 139 crore last year. Manyavar does several things differently from traditional retailers. Unlike traditional clothing companies, it doesn’t have an End of Season sale, a mainstay for most retailers to get rid of excess inventory. “We are the only brand in the country that does not have an EOSS (end of season sale). This is our USP,” says Modi. Manyavar instead relies on data analytics to manage inventory, including unique merchandise ownership of stock, automatic stock replenishment at stores and even inter-store stock transfer depending on demand. Manyavar also carefully selects its franchisee owners, ensuring they have previous retail experience, and Rs. 45-50 lakh to invest. The company also keeps its costs in check by running operations out of its home base in Kolkata, where it has a network of reasonably-priced craftsmen who dish out delicately embroidered clothes for the world to buy. And in spite of running a large global operation, Manyavar still operates like a family business — Modi’s wife Shilpi Modi is a trained fashion designer, and the company’s chief visualiser of merchandise and design. But what’s really helped Manyavar stand out from the competition is its marketing. The company realizes what its target market is, and then appears to go all-in. Last season, Manyavar sponsored as many as three IPL teams — Kolkata Knight Riders, Delhi Daredevils and Hyderabad Sunrisers — realizing that cricket was enormously popular among its target demographic of urban males. It also spends money promoting its international operations, sponsoring the Bangladesh Football League in 2015. And in spite of its global ambitions, Manyavar has seemed to keep its Indianess intact. Emails sent by the company don’t address people as Mr. or Ms., but instead say Manyavar, and sign off with a namaste. Even Manyavar’s chatbot on its website greets people with a Namaste instead of the usual Hi. That’s quite fitting for forward-looking clothing brand that’s looking to bring traditional fashion to India’s masses.